How to connect canon printer to wifi? The printer can be connected to Wi-Fi via the Wi-Fi Protected Setup feature or the Standard connection method available on the printer’s control panel. The WPS feature enables quick and easy wireless connection. The WPS method, in turn, can be performed using the PIN or the Push Button method, and resolves How to connect canon printer to wifi. Power up the printer. Confirm if the computer is connected to the same wireless network to which you want to connect the printer. Hold the Wi-Fi button on the printer’s control panel. Press the WPS button after the light next to the Wi-Fi button starts to flash. Make sure the power and Wi-Fi lamp stops flashing. Carry out the steps below to connect the printer to a network via the standard connection method. Insert the installation CD into the computer and run the files. Follow the prompts appearing on the installer. Choose the Wireless connection type and select the Connect to the network option in the screen that pops up. Hold the Wi-Fi button on the printer’s control panel when the Connection vi Cableless setup screen appears. Do according to the prompts on the subsequent screens to complete the wireless setup. Force press the WPS button on the router and notice the light next to Wi-Fi button flashes blue within some time. The Wi-Fi lamp will be continually ﬂashing while the printer is searching for the network. The power and Wi-Fi lamp on the printer’s control panel will start to flash when the printer connects itself to the router. If the printer is on a network, the power and Wi-Fi lamp will not flash anymore. Connect your computer to the same network. Try to print a document to verify the connection. The steps below are for standard connection method. Insert the installation CD delivered along with the printer into your computer, if you do not have the CD or if your computer runs on the Mac operating system, download the driver from our site. Click Keep following the prompts on the installer screen. Select the Wireless connection when prompted to choose a connection type. Make sure the printer is turned on and click Next in the ‘Preparation for Connection’ screen, the next step is connecting the printer to the network. Click the Connect to the network tab and select the Cableless Setup option in the next screen that pops up. When you see the Connection via Cableless setup screen, hold the printer’s Wi-Fi button. Release the button after the orange alarm lamp flashes twice. Make sure the Wi-Fi lamp flashes and the power lamp is solid, and click Next. Select your region and the type of software you want to install. Agree to the license agreement to complete the setup. 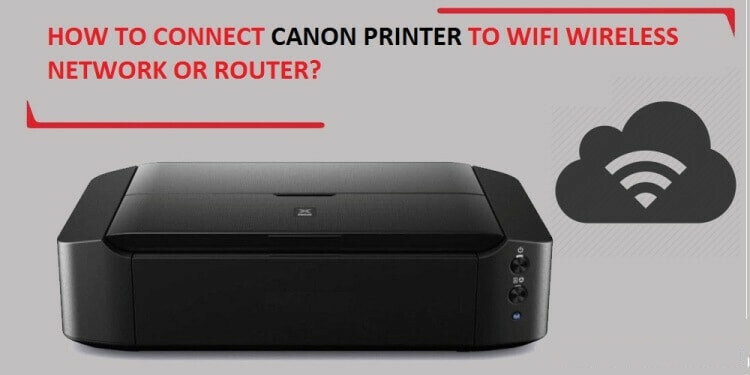 If you are in need of How to connect canon printer to wifi technical assistance, call us at the contact number. Our technical experts will help you out.